Without sales, we wouldn’t have business. And without business… well, the world as we know it wouldn’t exist. So sales is pretty important. You already know how we feel about videos, so the next part shouldn’t come as a surprise. Sales videos are a powerful tool. They can help you connect with potential customers in new and entertaining ways. 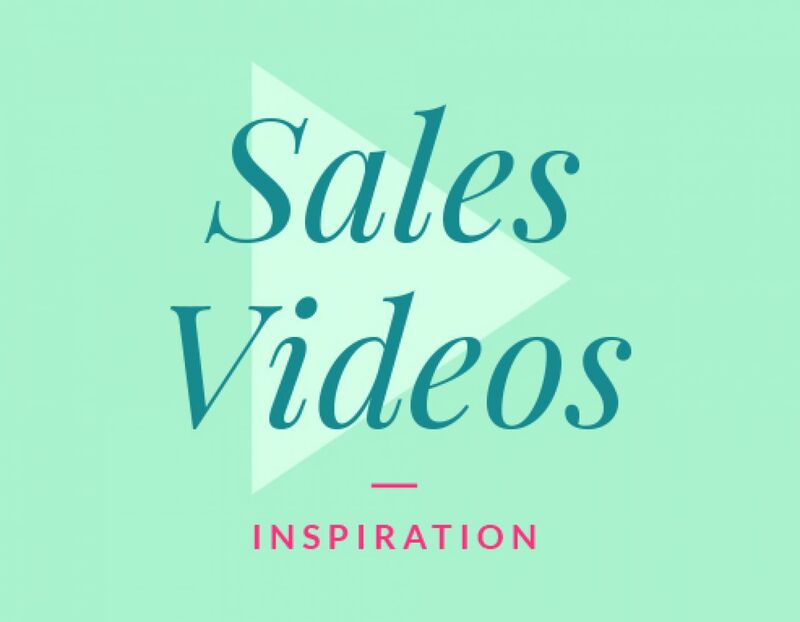 Today, we’d love to share some of our favorite sales videos and take a look at why they work. Hopefully they’ll help inspire you to make some great sales videos of your own - with Biteable, of course! Selling and software go together like peanut butter and marmalade (trust me), but the relationship between human and computer code isn’t always easy. Just ask one of the many sales professionals who use CRM (Customer Relationship Management) systems like Salesforce or HubSpot to track customers. Tools are meant to make our jobs easier and, most of the time, they do, but the sales rep/CRM partnership can hit the occasional bump in the road. By treating it like any other human to human relationship, this video draws us in and makes us invest in what’s going on. This is a great way to draw a potential customer in and get them on-side. Identify a common frustration your product solves and personify it. How would an interaction between your ideal customer and their problem go? With a bit of imagination, this approach can work for almost any product! Dollar Shave Club: Why Should I Try Dllar Shave Club? Frequently asked questions are an essential part of sales. Customers have questions and it’s up to you to answer them. Dollar Shave Club transforms answering FAQs into something fun. At the end of the day, all your customers want are decent answers to the questions that keep them up at night. What are their questions? How can you answer them in a way that’s fun and informative? If you’re stuck for ideas, check out some of Dollar Shave Club’s other sales and marketing videos for some quality inspiration. Consensus: How is B2B Sales Like Lunch? Some of the best stories come from stuff we do every day. They draw on our common experience to share a message. In this video, Consensus compare B2B sales to a group of people trying to figure out what to do for lunch. We don’t know about you, but when we get the Biteable team together, figuring out where to have food becomes extremely difficult. Despite being adults with jobs, deciding where to go eat seems almost impossible. Your customer has similar everyday experiences. Pick one and link it to your product. By building on something they’re already familiar with, you can keep viewers engaged and make yourself more relatable! Conflict is fun to play around with in videos, and the Lattice team does a great job of pitting sales and marketing against each other. Let’s face it: on some level, rivalries exist in most teams. At the same time, these two departments work well when they’re striving toward a common goal. When sales and marketing are aligned, revenue goes up and magical things happen. What conflict does your product help solve? It can be small: mint gum solves the conflict between bad breath and a goodnight kiss. Or it can be bigger: fiber-optic broadband solves the problem between having great conference calls with your clients and spending half the call unable to understand each other. Find the source of the conflict and tell a story about it. Sales is tough. You’re dealing with people all day, every day. Especially in outbound sales, you’re contacting people who’ve never heard of you, and who don’t really care about what you’ve got to say. This video from Consensus starts with every sales rep’s dream: a roomful of people all willing to buy what you’ve got. After capturing our attention with the story and hitting all the right emotional notes, they introduce the solution. Effective videos are story-driven. They get your attention and gently pull you along. What story can you tell that will appeal to your ideal audience? What’s their dream scenario? All the sales videos we’ve looked at tell stories based on shared experiences, and that’s because it’s one of the best ways to connect with potential customers and get them on your side. When making your own sales video, think about what your customer really wants. When you buy a book, you’re not buying a bunch of printed pages, you’re buying an adventure. An experience. When you buy a phone, you’re buying a way to speak to your friends and family and improve your relationships. Sales is never about the end product. It’s about what the product does for us. Dig deep and look beyond the obvious. That’s how you get awesome sales videos like these.